There is something about World War. 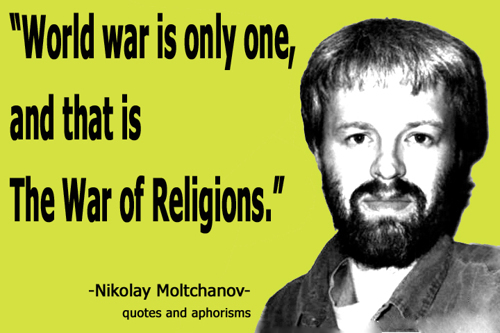 "War of Religions". Photo-poster designed by Nikolay Moltchanov. "Democracy is like a taxi-cab on the rails." 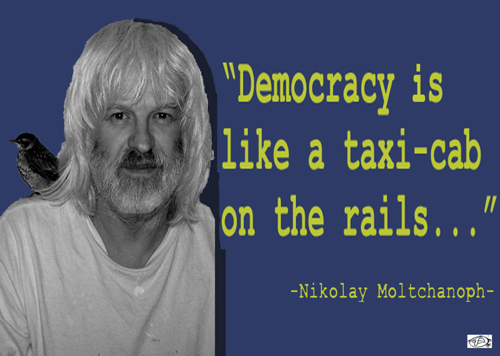 "Democracy is like a taxi-cab on the rails." by Nikolay Moltchanov. Poster. 20" x 28"